The Ziegenfelder Company is now on the list of women-owned and women-run companies outlined on Purse Power. Purse Power explains on their website that the organization supports the idea that “women can use their trillions of dollars of purchasing power to buy goods and services from women entrepreneurs and companies to improve opportunities for women and girls.” You can search the Purse Power list using their web and mobile platforms. Companies make the list if it is owned at least 50% by a woman, if it is run by a woman CEO, or if it has 20% or more women on their board of directors. Each Purse Power listing includes contact information for the business and categories the company as to what product it makes or what service it provides. 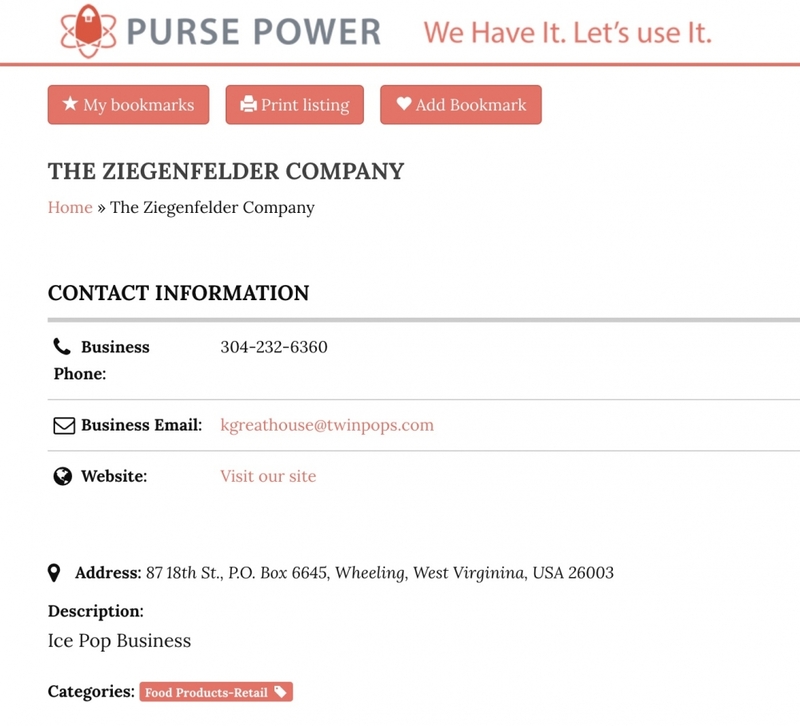 You can search for The Ziegenfelder Company’s listing by going to the “Find a Business” tab at pursepower.com.